We are very pleased to have recently received a collection from the family of acclaimed filmmaker Loni Ding of the raw materials used to make her influential documentaries Nisei Soldier: Standard Bearer for an Exiled People (1983) and The Color of Honor: The Japanese American Soldier in WW II (1987). The large collection includes 738 pieces of media and will be processed over time and added to the Densho Digital Repository. These two films are among the earliest, most decorated, and most influential cinematic accounts of the Japanese American World War II experience. A sociologist, television producer, and independent filmmaker based in the San Francisco Bay Area, Ding was inspired to do the film after attending the hearings of the Commission on Wartime Relocation and Internment of Civilians (CWRIC) in 1981. Supported by grants from the Corporation for Public Broadcasting, the John Simon Guggenheim Memorial Foundation, the California Public Broadcasting Commission, California Council for the Humanities, Washington Council for the Humanities, and National Endowment for the Humanities, Ding embarked on what would become a five plus year project. Though there are literally dozens of films on aspects of this story today, it is easy to forget that when Ding began working on these films over thirty years ago, there was next to nothing. Building on the story told in fictional form in the 1951 MGM drama Go for Broke! and in an early CBS documentary titled The Nisei: The Pride and the Shame (1965), Ding began the project in the context of growing public interest in the wartime incarceration of Japanese Americans and the ongoing movement for redress and reparations. 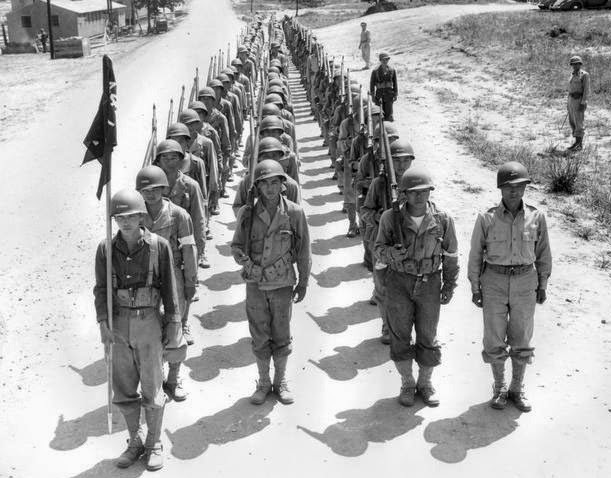 Combining interviews with veterans of the 100th Infantry Battalion and 442nd Regimental Combat Team with archival footage and photographs, Nisei Soldier counterposed the story of the Nisei soldiers with that of the wartime incarceration, emphasizing the dilemmas these Nisei faced. Recognizing that there was a larger story to tell after the completion of the 30 minute long Nisei Soldier and encouraged by the positive response from both inside the outside the Japanese American community, she began working on The Color of Honor, a fuller treatment that ended up focusing on the Nisei in the Military Intelligence Service. In exploring the issues the Nisei faced, Ding also brings in the stories of Nisei draft resisters and of the military resisters among those Nisei already in the army prior to the attack on Pearl Harbor, the first cinematic treatment of these groups. Nearly all of the subsequent documentaries on the Nisei soldiers employed similar source material and thematic treatments. Her including stories of resistance undoubted influenced important films on that aspect of the story such as Rabbit in the Moon (1999) and Conscience and the Constitution (2001). Both films were widely viewed in national PBS broadcasts as well as many local screenings and film festival appearances. Both were also critically acclaimed contemporaneously and recognized for their significance in later film scholarship. Both also won many awards: Nisei Soldier won a Northern California Region Emmy Award, a Gold Medal for History and Biography at the 1985 New York International Film & Video Festival, and a 1984 CINE Gold Eagle; Color of Honor also won CINE Golden Eagle. Both films were also themselves a part of the history of that time. Nisei Soldier's world premiere took place on February 19, 1984 as part of a benefit for the coram nobis cases, while Color of Honor premiered on October 2, 1987 as part of the opening festivities of the landmark National Museum of American History exhibition A More Perfect Union: Japanese Americans & the U.S. Constitution at the Smithsonian Institution. Both films were also shown on closed circuit television in the U.S. House of Representatives during deliberations around H.R. 442, the bill that would become the Civil Liberties Act of 1988; they were the only films so screened for Congress. Much of the footage that makes up the collection consists of raw interview footage with veterans and other key figures. This footage is significant and important to preserve even beyond the importance of the completed films. Because of Ding's broad perspective in making the films, the interviews reflect a wide range of experiences and perspectives, from members of the 100th, 442nd, and MIS to dissidents both inside and outside the army. In addition to shooting interviews and other footage in Hawai'i and various parts of the continental U.S., she also interviewed several people in Japan and also went to France for a 1984 reunion. Her interviews are also significant because they were done so long ago and thus include many important figures who have long since passed away and who are not included in other film or video oral history projects, such as Military Intelligence Service Language School Director and Judge John Aiso (1909–87), Senator Spark Matsunaga (1916–90), activist Bill Kochiyama (1921–93), and political organizer Dan Aoki (1918–86). We are grateful to have been entrusted with the valuable collection and hope to have it available before too long.